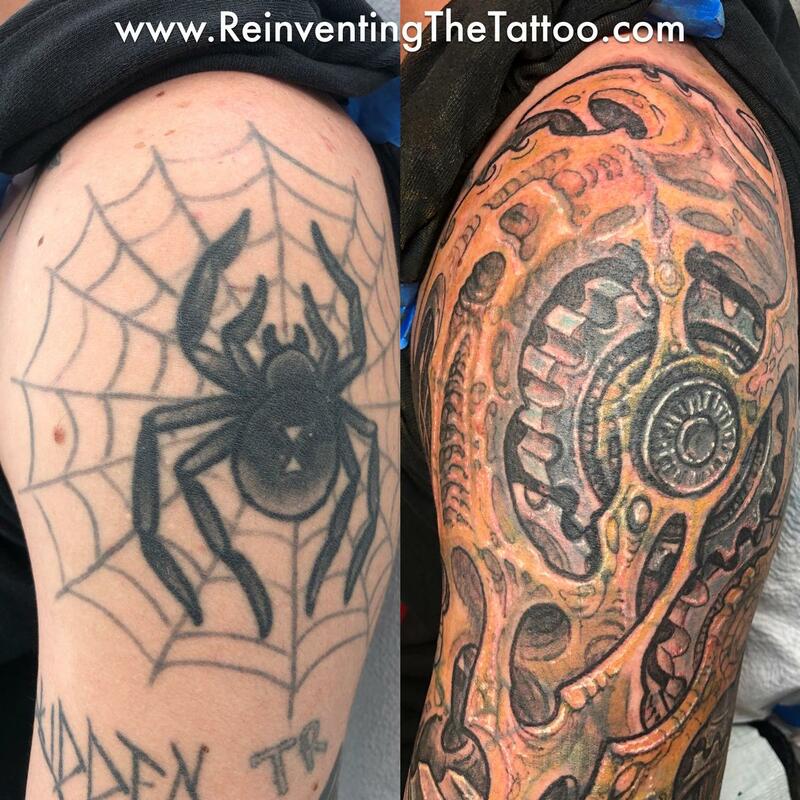 Recently I took on a sleeve coverup project where we were dealing with some fairly dark unwanted work. The upper outer part of the arm in particular had some open areas that allowed us to make a strong composition that wasn’t too dense, working with an industrial Biomech theme which is great for covering old tattoos because of its use of rythmic structured detail work. In the above photos you can see the results of the first pass, where we achieved a solid foundation that will allow us to really dial it in during the next session. But we didn’t simply blast over the old work, which makes for dense looking coverups- the approach was a bit more strategic than that, which you can read about in detail in your ReinventingTheTattoo.com subscription, along with additional closeup shots and technical notes.